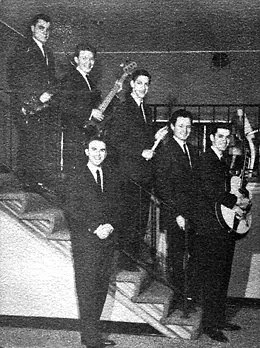 50 YEARS LATER -- five decades after Lawrence F. "Rockin' Robin" Roberts (1940-1967) quit Tacoma's pioneering R&B band, The Blue Notes, in August, 1959, to join their cross-town rivals, Northwest rock 'n' rollers, The Wailers (as seen here in 1960) -- I figured that far too much time had passed by without his biography being written. In that essay -- just posted over at HistoryLink.org -- Roberts' tragically short life & amazing singing career are documented in detail. ALL ORIGINAL TEXT COPYRIGHT (C) PETER BLECHA 1983-2015. Simple theme. Powered by Blogger.